Meteor Garden Introduction: It originated in Taiwan, Meteor Garden is one of the most popular Taiwanese Drama that went viral in so many countries. The popularity of this drama spread in different Asian countries including the Philippines and translated in different languages. It became more popular because of the casts which are the popular F4 or Flower four comprised of Jerry Yan, Vanness Wu and Ken Chu, Vic Zhou, and Barbie Hsu. The Taiwanese Drama created in 2001 was based on the Japanese Manga series called Boys Over Flowers that became popular also across the Asia. It was during these times that the group F4 dominated the chart with their hits that eventually became soundtracks of Meteor Garden. 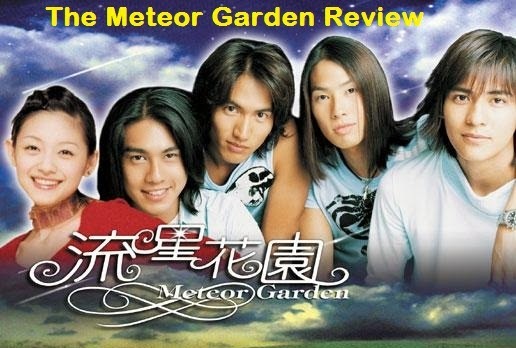 Meteor Garden Characters and Synopsis: The characters of the drama revolve on F4 named Dao Ming Si (Acted by Jerry Yan), Mei Zuo (Acted by Vanness Wu), Hua Ze Lei (Acted by Vic Zhou) and Xi Men (Acted by Ken Chu) and Shan Chai (Acted by Barbi Hsu). San Chai is a poor college girl studying in a university for rich people. Apparently there was this F4 which is a group of four of the richest heirs in Taiwan. These four kept on bullying students until they dropout and leave the school by sending red card. There was this incident that a friend of San Chai received a red card from Dao Ming Si and she fought for him. He slapped Dao Ming Si that eventually became the start of the boy’s falling in love with her. Meteor Garden Soundtracks: One of the things that we will remember about Meteor Garden is the soundtracks that include Qing Fei De Yi, Ni Yao Di Ai, and other F4 hits like Can’t Lose You. These songs have topped the chart of a certain radio station at times. There are additional soundtracks for the drama depending on the country where it was published. Meteor Garden Broadcasts: Meteor Garden was broadcasted internationally including countries like Indonesia, Philippines, Hongkong and Singapore. The F4 became popular because of this along with Barbi Xu. Nowadays, the said show will be aired once again in the Philippine television under ABS-CBN bringing back the good old days and letting the younger generation know about the marvelous Meteor Garden.